1.1 hp, 28cc 2 cycle engine. Air Speed = 170 mph. Air Flow = 470 cfm. 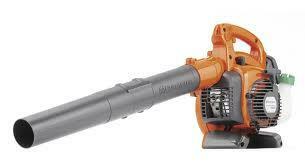 * Please call us with any questions about our blower leaf hand held rentals in Oak Grove MO, Blue Springs MO, Independence MO, Lexington MO, Odessa MO, Independence MO and Western Missouri.